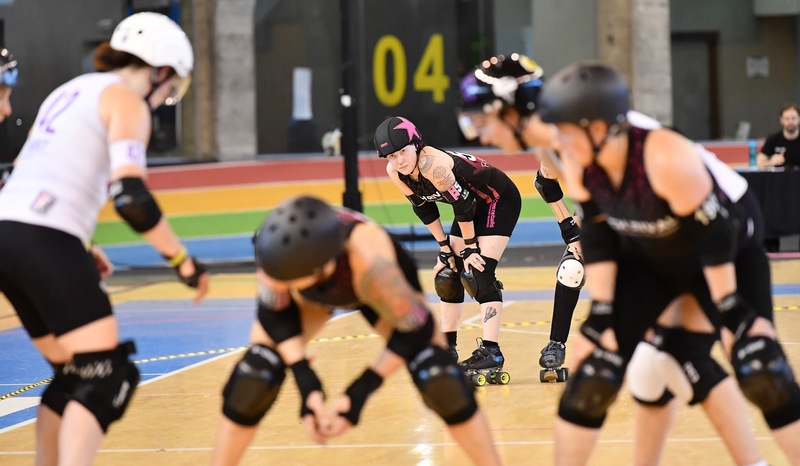 (A CORUNA, SPAIN) St. Louis-based Arch Rival Roller Derby is one step closer to their first-ever championship medal. 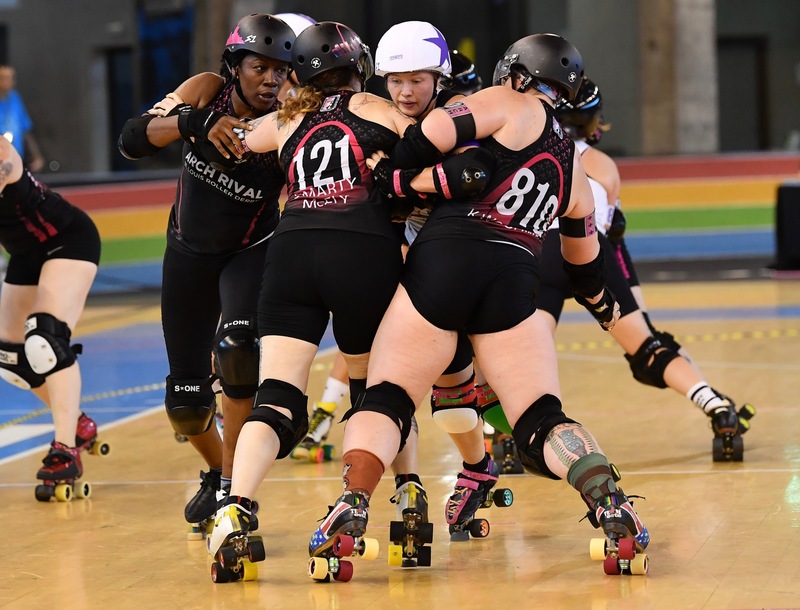 This comes on the heels of the team’s 300-118 semifinal victory over Rainy City Saturday at the Women’s Flat Track Derby Association (WFTDA) playoffs held at Palacio De Los Deportes de Riazor. 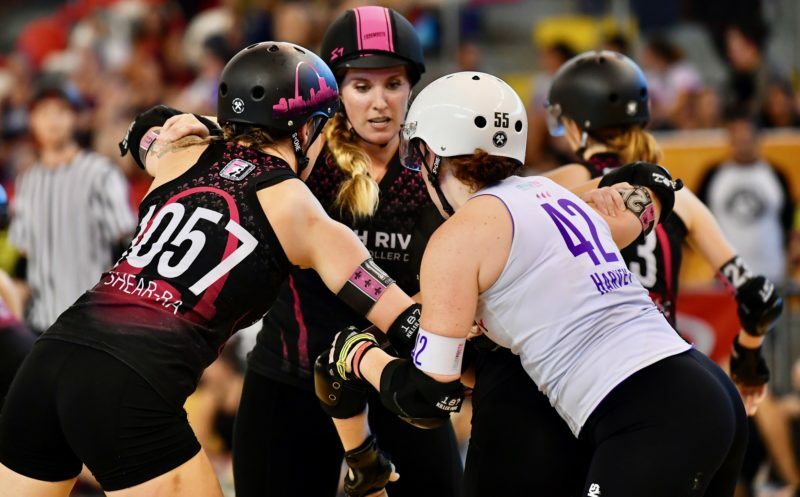 ARCH, ranked fifth internationally by the WFTDA and the top-seeded rollers in the twelve-team tournament, advanced to the trophy game that will be held Sunday at 10:20 AM St. Louis time. Their opponent will be Crime City (Malmo, Sweden). The 182-point triumph also earned the team automatic placement to the governing body’s championship tournament at New Orleans in November. Manchester, United Kingdom’s Rainy City, ranked twelfth globally and the weekend’s fourth seed, aimed to keep pace with Arch Rival but quickly found themselves behind the 8-ball as ARCH jammer Bricktator scored 15 points in the opening rotation. Annie Swanson followed with a four-point pass that pushed the score to 19-0. Ten minutes deep, Arch Rival had extended their lead to 43-6. Refusing to wave the white flag early, Rainy City capitalized on a power jam at the 13:00 mark that resulted in a twelve-point collection for Fairy Quake that shored the score to 72-37. Arch Rival countered with a 46-4 rally over the next four jams. Swanson snared lead and scored nine with ten minutes left to push the score to 81-37. D’Freakout and Bricktator added four and five points, respectively, on ensuing rotations to extend the game to 90-37. Swanson finished the run in Jam 17 with an 18-4 tally that resulted in St. Louis’ 108-41 lead with four minutes left. 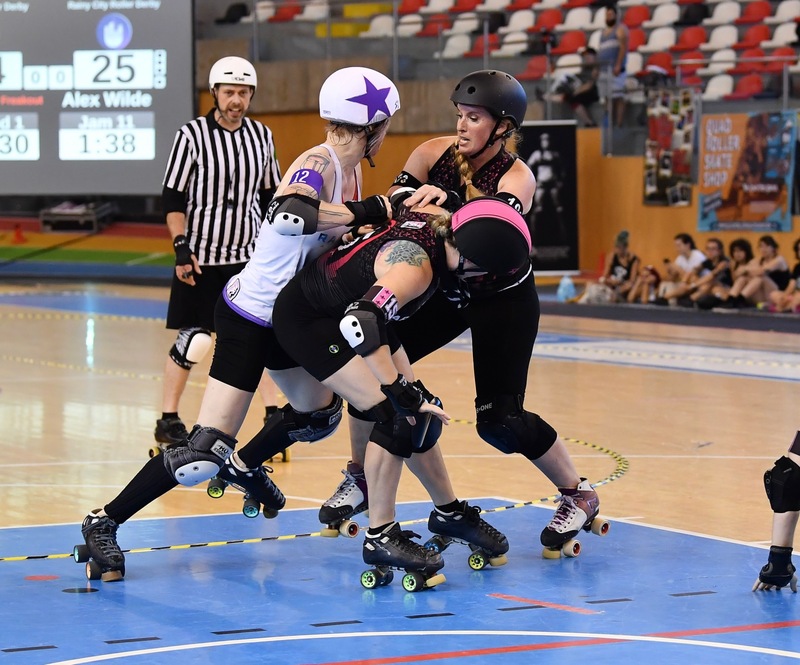 With blocking propelled by Smarty McFly, Cloak-N-Drag’Her, Shear-Ra Powers, Jamheiser Bush, Kayla Woodward, Vicious Van GoGo, LuxFurious and a host of others, Arch’s lead swelled to 142-57 at intermission. The momentum continued into the second period as St. Louis scored 19 points straight and pushed the score to 161-57 five minutes deep. 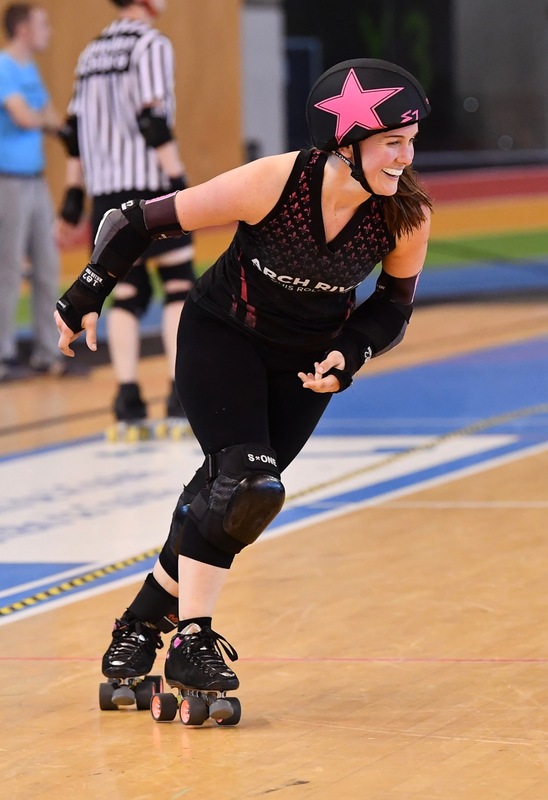 With 21:00 left, ARCH capitalized on another Rainy City jammer miscue that resulted in a nine-point power jam for Bricktator that widened the score to 194-65. Leading 257-108 with five minutes left, St. Louis put a resounding exclamation point on the affair with their 43-10 stretch run that was highlighted with Bricktator’s 28-pointer in the game’s penultimate jam. Arch Rival outscored Rainy City, 139-61, in the second half to secure the semifinal win. Arch City Media will have continuous coverage throughout the weekend.